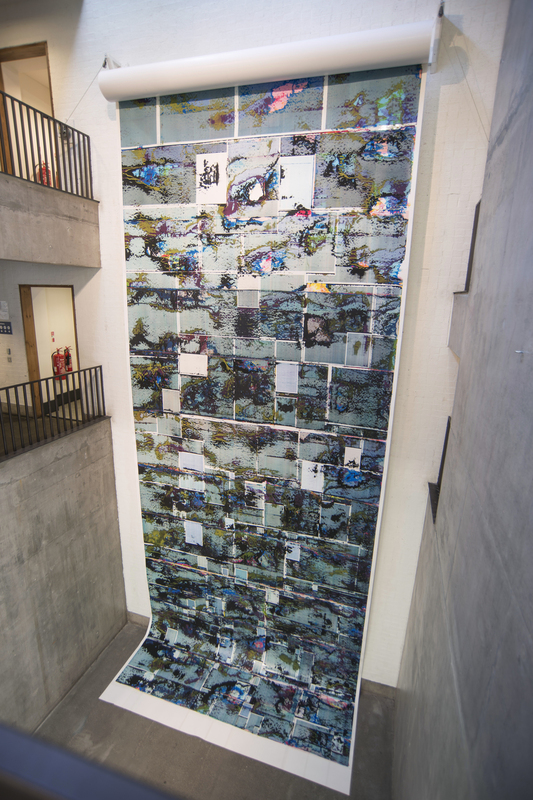 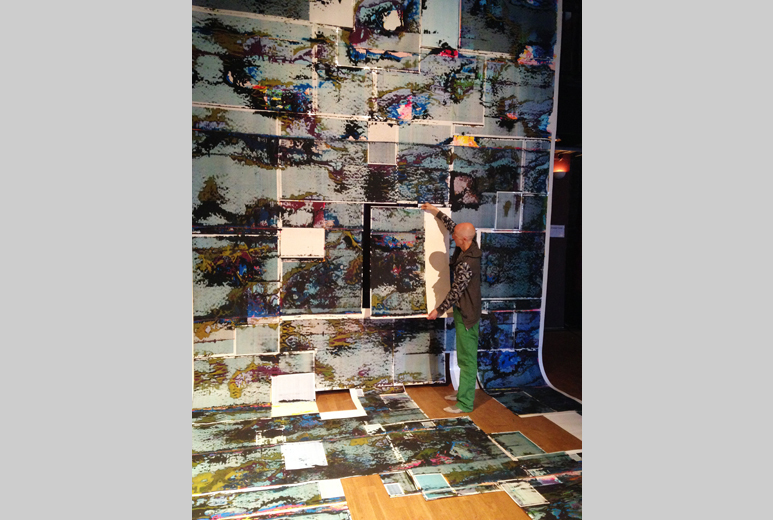 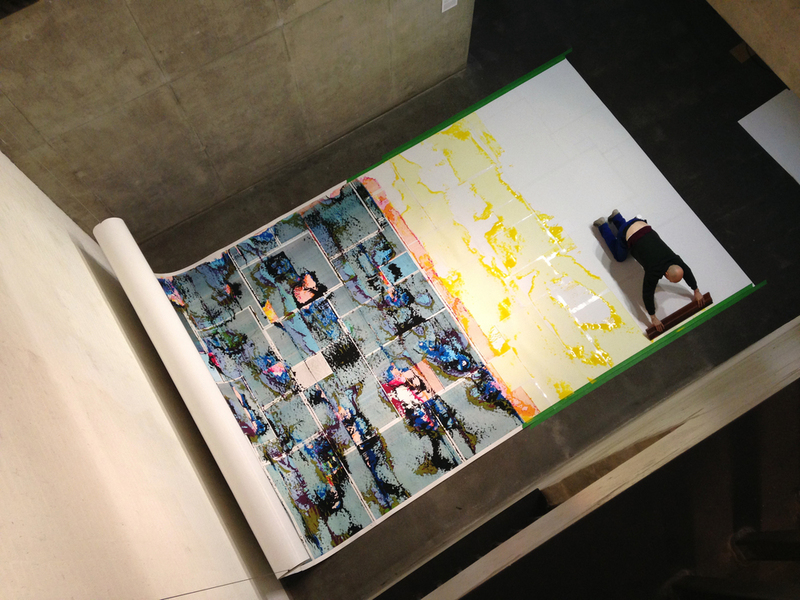 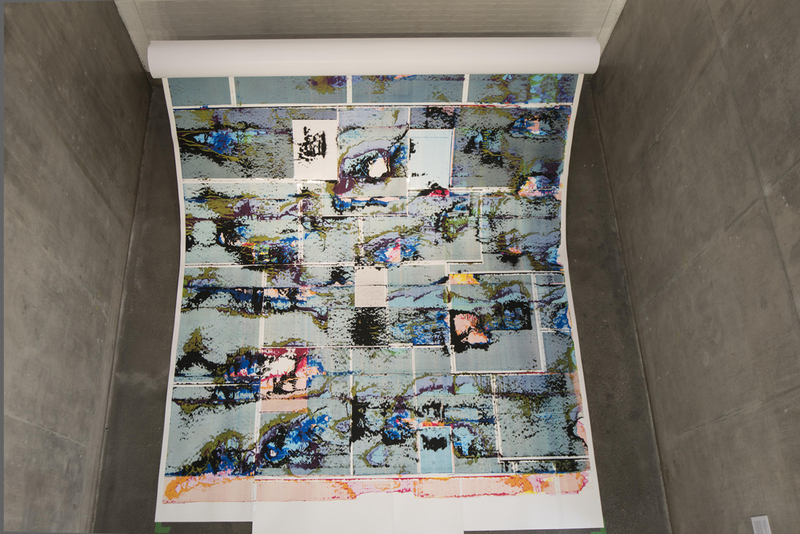 A large-scale ‘scroll’, taking data-like readings of the gallery floor surface in CMYK relief prints, was hoisted upwards by 10 cm daily, to reach the 10m high ceiling at the end of the 3 month exhibition. 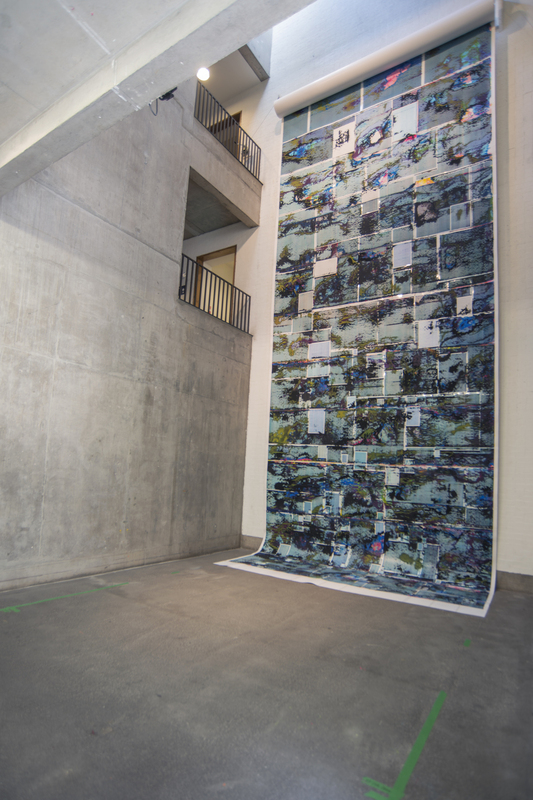 Dismantled and distributed amongst a group of 60 ‘temporary custodians’ during an event at Liverpool Biennial, July 2014. 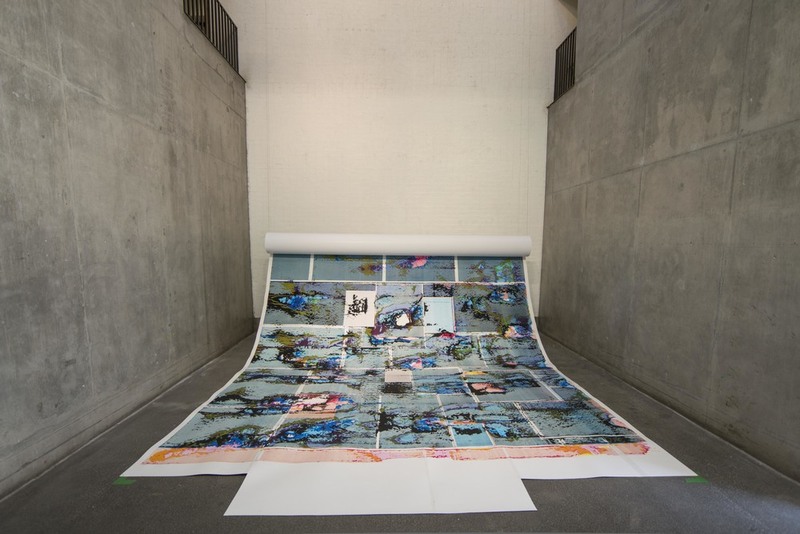 Endless Pageless is a reference to an ‘infinity scroll’, a feature found on sites such as tumblr and twitter, allowing users to browse streams of content without the boundaries or limitations of pages.